The Fjord line ferry MS Bergensfjord provides a safe and pleasant ferry crossing between Denmark and Norway. 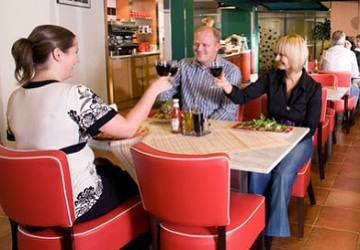 Onboard you’ll find excellent cabins, 3 restaurants, a sky bar, a sundeck, entertainment, a tax free shop and more. 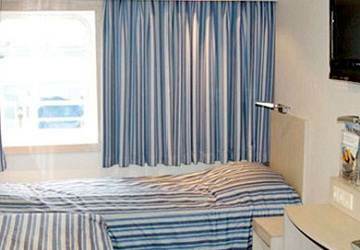 There are several categories of en-suite cabin to choose from onboard the MS Bergensfjord. 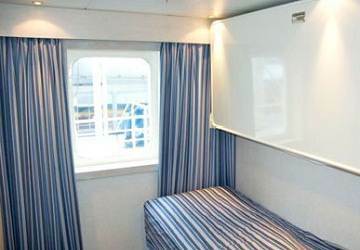 The cabins vary according to size, fittings and standard, from economy cabins to top-of-the-range first Class, which are of course comfortable and luxurious. 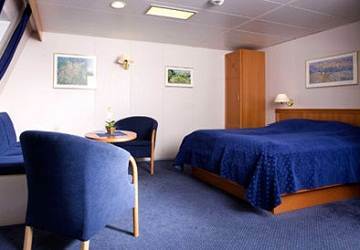 The ship also contains specially adapted cabins for wheelchair bound passengers. 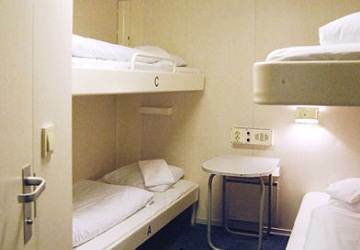 For those of you that would prefer not to book a cabin, there is a sleeper seat option (comparable to airplane style seats) and can be found in front of deck 4 (not recommended for children). It is recommended to bring your own blanket or pillow though these can also be hired from the reception. 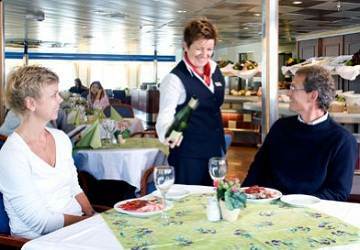 Onboard the Bergensfjord you’ll find 3 different restaurants with the choice of a delicious all inclusive Scandinavian buffet in the restaurant, Italian/American classics in ‘Little Italy’ or sandwiches, snacks and cakes in the café – something to suit all palettes and budgets! For some after dinner entertainment head to the Vikingfjord night club. 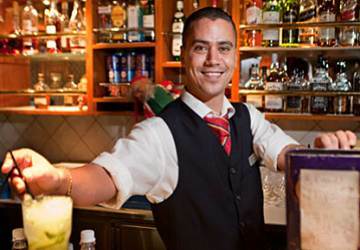 The house band plays on the main stage here every night and at weekends there is additional entertainment. 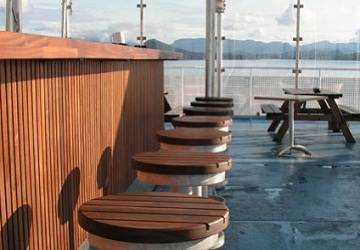 When weather permits from mid-May to mid-September the Sky bar located on deck 7 is where you can really enjoy being at sea. You’ll find hot dogs, sandwiches, ice creams, coffee and numerous other beverages on sale here too. Please Note: Whilst we have taken great care in making our MS Bergensfjord guide as accurate as possible, onboard facilities, services and entertainment may vary depending on the date and time of year that you travel, facilities mentioned may change without notification and ferry companies reserve the right to operate vessels other than those mentioned at time of booking without prior notification. 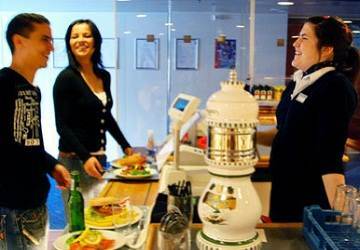 Boarding staff on both sides, Langesund and Hurtshals, was professional and helpful. Ship nice and clean, no signs of wear. Cannot review food and carhering, but it looked eatable and delocious. For the money it was really good travel. 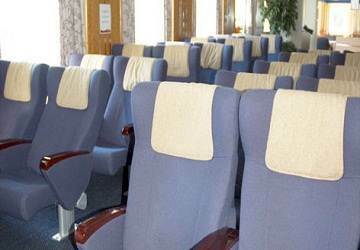 "Hirtshals crossing with Bergensfjord ferry"
Check in fast, boarding went like clockwork, seating comfortable and lots of space to relax. 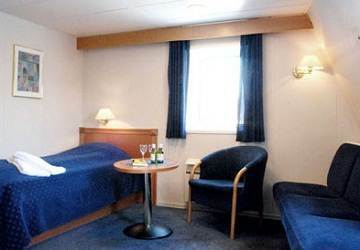 Overall satisfied with my crossing on this ship and the general experience with Fjord Line. Would use again. Only two words needed to describe this company. Absolutely fantastic. 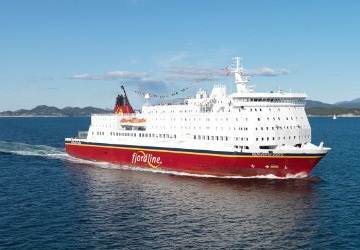 I've travelled on lots of ferries with different companies and Fjordline provide one of the best services i have experienced. 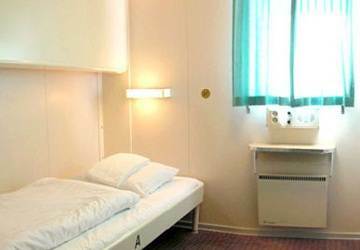 If you need to travel between Norway and Denmark then they are the best choice.